Star Wars Rocks!! Fans of the original trilogy will remember these weird musical characters from the New Hope episode IV. 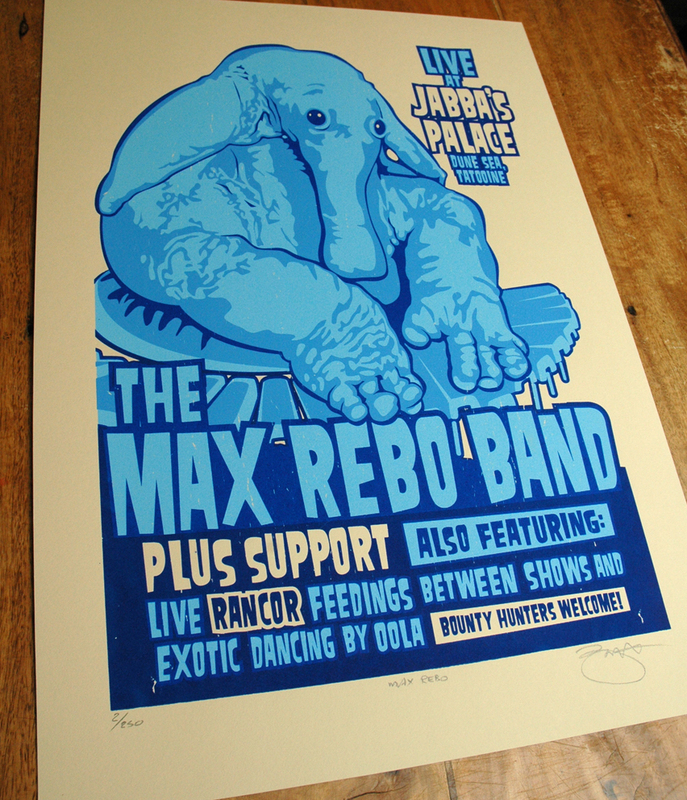 So here’s my take on what a Max Rebo Band tour poster might look like. Posted in Prints. Tagged with Cult, Music, Sci-fi, Screenprint, Star Wars. 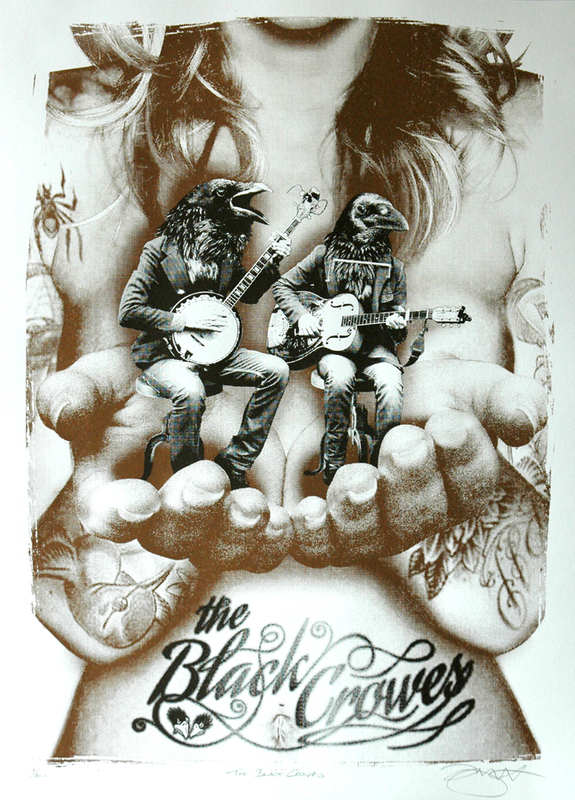 I’ve been a big fan of the Black Crows since their first album Shake your Money Maker and have been fortunate to see them live a few times. I was gutted when they split, so this is my little tribute to a great rock band. This two colour hand pulled screen print measures 50cm x 70cm 19.6″ x 27.5″ (approx) and is printed on 250gsm art stock. Each print is signed & numbered and is strictly limited to an edition of only 50 so once they’re gone they’re gone. Posted in Prints. Tagged with Music, Pop Art, Rock, Screen print, The Black Crowes.